Many professionals rely on to-do list managers to keep track of their tasks and get more done in less time. Sometimes you just want to keep track of the last time you did an important task. Recur for iPhone is just the app for the job. Just add your tasks and refresh them when you get them done. 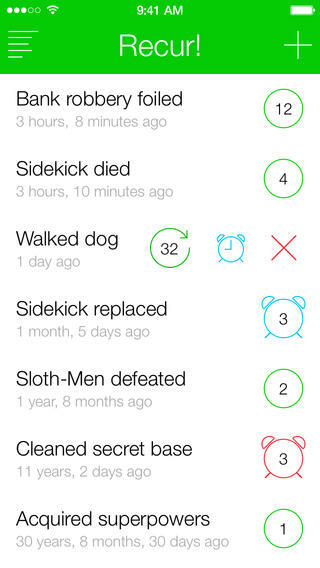 Recur shows you when you did things, so you can better organize your schedule. Recur has a clean design, optimized for iOS 7. It tracks all the important tasks you have done in the past and lets you refresh them with a swipe. You can also set up reminders for your tasks. Every time you do something, its counter gets updated. 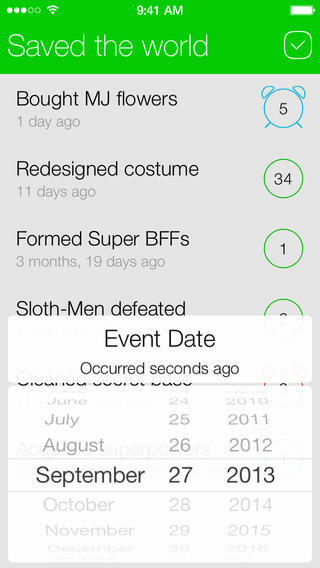 Users have the option to import refreshed events into CARROT to better manage their pending tasks. Recur is not for everyone. It does not completely replace a task manager but does tell you when was the last time you did things. The app sets you back under $1.